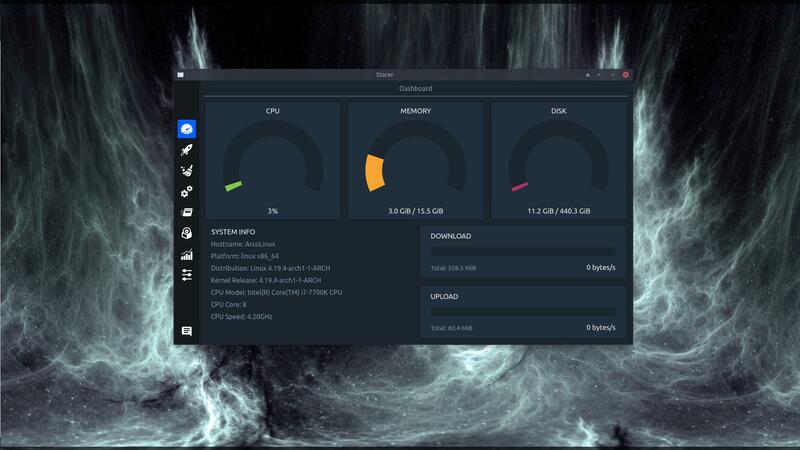 Stacer is a linux optimization and monitoring tool. We take a look where this package is coming from. It is a debian package and we check out the PKGBUILD to find out the source. It comes from github from a package release. We go over the services and activate avahi to see other computers in my network. Vnstat is a way to track how much you download on a daily, weekly or monthly basis. A tip to easily resize your windows on XFCE. We change the language to Spanish.